Click the hand to sign up to receive notices of special events at Valley Grange. Thank you for the dictionary and the feild trip. Hope we see you next year. We saw the news! It was funny when Miss Grant put on the soldier uniform. It was super fun to be there there. Thank you all for the fun day. We aprecheate it. Thanks Mr. Boomsma by the way we weere trying to keep you happy. THANK YOU! Thank you for the dictionary. It was funny when Mis. Grant dress up as a soldier. It was exiding to be on the news can we do this again some time. The gardening tools are cool. I wish they where a round still. The tools woud be help full. I saw Mr. Boomsma on the news. It was not boring at all. I hope you enjoyed this letter. Have fun with the ether classis. Thank you for the dictionary! Those were rely nice gardening tools! I alse learnd that if you look at the cameras you are not going to be on the news! That was awesome that we got to see the mail boxs. I realy like the dictionary. My brother still has his dictionary in fifth grade. Thank you for the dictionary. I can’t believe that we learned the longest word in the English Language! I bet the Civil War was long and not so great time. Are you doing this next year? I thought the gardening tools were cool. I hope you do this next year. My dictionary is still in good shape. Again Thank you! I really like the Grange. I hope this makes you happy there will be a drawing on the back. Thank you for the wonderful dictionaries. What I learned about is Corporal Benett and the Civil War. The tools you showed us, spud, the howl the shepard’s crook and the prune. Last but not least what I’m going to use my dictionary for to help me spell, help me find the definitions, help me not use the same words over and over and last but not least learn to do sign language. Thank you for my free dictionary! I use my dictionary to find words and definitions. When I was there it was so fun. When we learned about the spud, owl, pruning hook and shepherds hook. I was so happy when I got home I talked all about it it my mom and sister. It was so fun to be on the news. 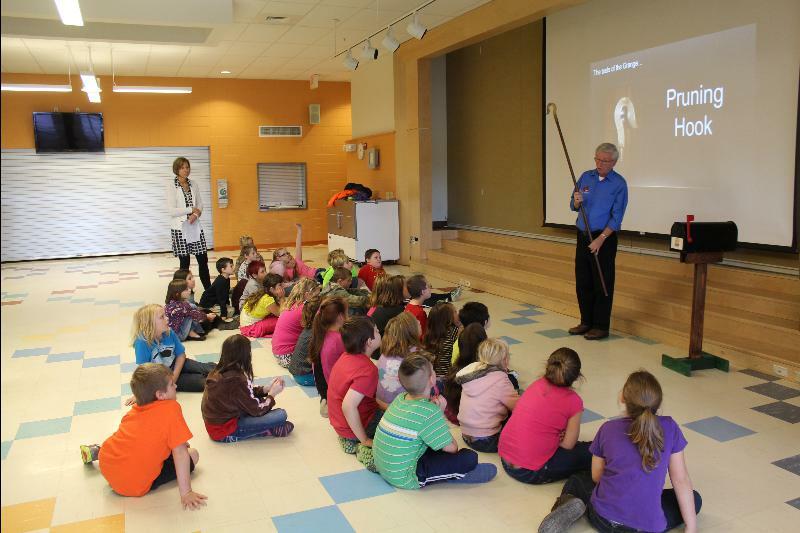 Check out this story by WABI-TV 5… what a great time we all had! 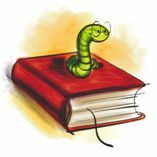 F riday, October 14 at 8:00 a.m. Bookworm Assembly at PCES in the gym following morning assembly! Tuesday, October 18 Mr. Boomsma will be at school to read at 8:45 a.m.
Thursday, October 20 Mrs. Lander will be at school to read at 8:45 a.m.
Tuesday, October 25 Mrs. Erwin will be at school to read at 8:45 a.m.
Thursday, October 27 Mr. Boomsma will be at school to read at 8:45 a.m.
Thursday, October 15 – Mrs. Lander will be at school to read starting at 9:00 a.m.
Friday, October 16 – Don’t forget Family Safety Day at Valley Grange! Community Potluck Supper at 6:00 p.m. and the Eddie Eagle program at 7:00 p.m.
Tuesday, October 20 – Mrs. Kimball will be at school to read starting at 9:00 a.m.
Thursday, October 22 – Mr. Lange will be at school to read starting at 9:00 a.m.
Monday, October 26 is PCES Dictionary Day! 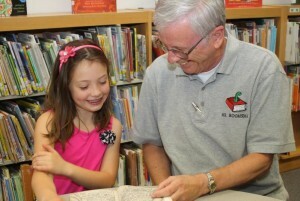 PCES Third Graders and their teachers will be visiting Valley Grange at 12:30 p.m. to receive their dictionaries! Tuesday, October 27 – Mrs. Kimball will be at school to read starting at 9:00 a.m.
Thursday, October 29 – Mrs. Lander will be at school to read starting at 9:00 a.m.
Enthusiasm is important to the success of any project, but it is not the only ingredient. Although enthusiasm is frequently the catalyst, the jump-start that gets the engine going, it is commitment that provides for the life and continuity of a dictionary project. Commitment, or the state of being whole-heartedly dedicated to a cause, is what has driven Walter Boomsma to continue The Dictionary Project for the Valley Grange #144 for the past eight years. “My passion is kids first, second and third,” said Boomsma and The Dictionary Project appreciates his efforts to ensure that today’s children have a bright future. Read the entire article here. 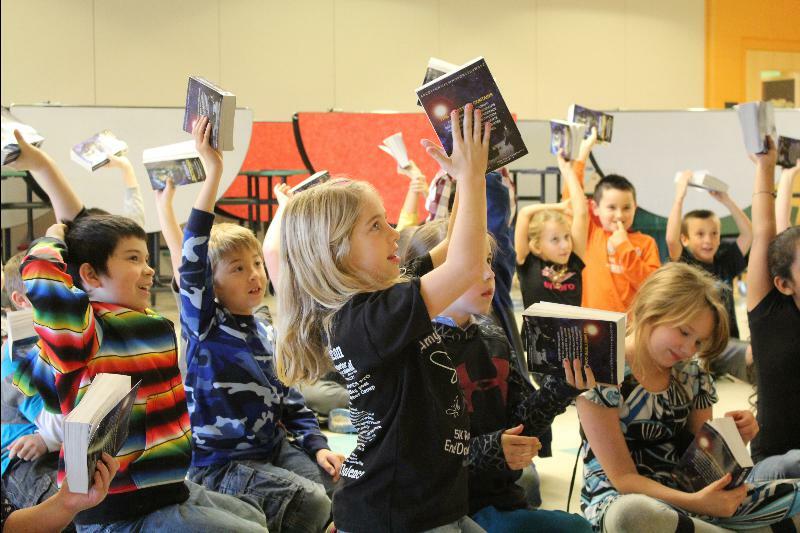 Third graders at Harmony Elementary School agreed–the dictionary is a pretty awesome book! This was our last–and smallest–dictionary day of 2014, with almost as many Valley Grange members visiting as there were third graders! Our “Words for Thirds Program” now includes four school districts and we handed out over 200 dictionaries this year! Thanks to everyone who supports this project in some way–we are making a difference. Third graders collaborate on the best way to find things in the dictionary. Mr. Boomsma demonstrates the pruning hook to some seriously interested students. Mr. Annis, Mr. Carroll and Mr. Boomsma recently truck-pooled to Dexter carrying along the staves, RFD mailbox and several cases of dictionaries–a sure sign that another Dictionary Day was about to happen in our area. This is our first year in AOS 94 and weren’t the kids excited! One young lady thought perhaps the “pruning hook” was used to get prunes off trees–not an unreasonable guess when you think about it. English is a strange language and she perhaps demonstrated the value of a dictionary! We have one more Dictionary Day to go this year. Harmony Elementary School will be our last but certainly not our least recipient of dictionaries through our “Words for Thirds” initiative. When we put away the props, we will have visited with six schools and twelve classes. Most importantly, we will have placed a dictionary in the hands of over 200 third grade graders. Special thanks to Mrs. Hersey for coordinating our visit–and to the staff and teachers for helping us begin what we pledge to make an annual event. We also appreciate the community support we receive when fundraising for this project. Contributions can always be sent to Valley Grange, c/o Mary Annis, 28 Orchard Road, Dover Foxcroft ME 04426. Winston Churchill said, “There is no finer investment a community can make than putting milk into the mouths of babies.” We think putting dictionaries into the hands of third graders is a close second. With a resounding Grange thanks to our ticket sellers and buyers, we are pleased to announce this year’s winners! Auction helper Hailee (sorry if that’s not spelled correctly) enjoys her reward. This year’s top ticket sellers included Roger and Judy Ricker, Janice Boomsma and Pat Engstrom, and Betty VanDyke and her granddaughter Roxanne. Thanks for your efforts! Winners were drawn during intermission and following our auction of “leftovers” from our Harvest Festival dinner. Auction helper Hailee still had energy left to draw the winning tickets. 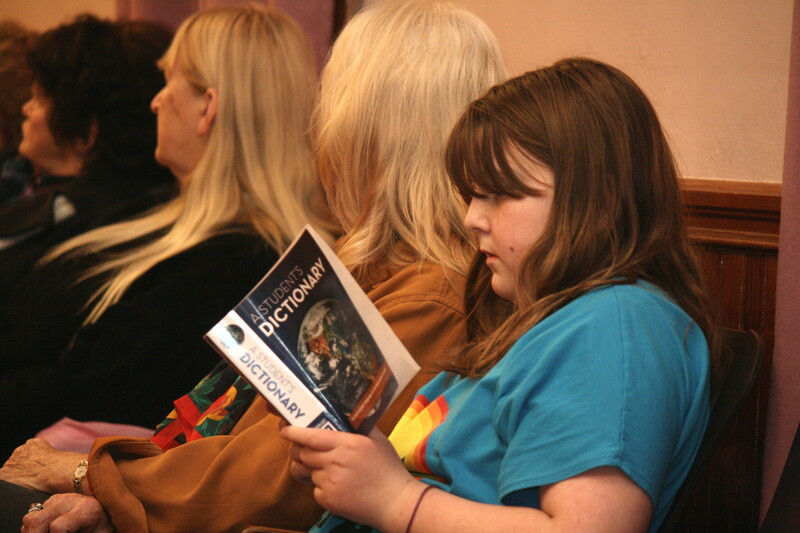 In appreciation for all her help, she was rewarded with a dictionary–made possible by your support of Valley Grange and our raffle. We caught her looking up words during the second half of the program! And a special thanks to McKusick Petroleum and Will’s Shop and Save for prize contributions. Valley Grange appreciates the support we receive from our communities… thanks for making programs like Words for Thirds and Bookworming possible. Collaborations like our recent Harvest Festival to help Piscataquis Santa… our annual Community Citizen Award presentation, Newspapers in Education, and GrowMe are all made possible thanks to you! Valley Grange is located at the corner of Butter Street and Guilford Center Road in Guilford. For additional information please visit our "About" Page. Check out the "Meeting Schedule" Tab at the top for more information about upcoming programs! Community Night at Valley Grange! Lt Kane Honored — Again!